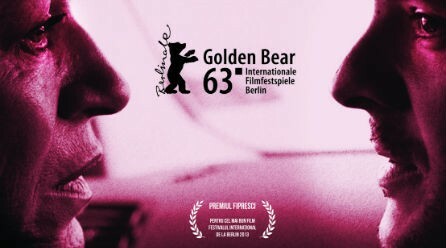 Other films have deepened in a parent’s feelings dealing with the death of a son –my favourites are Almodovar’s All about my mother and Nani Moretti’s The son’s room– but this Romanian movie, Child’s pose, by director Calin Peter Netzer and awarded this year with a Golden Bear at Berlin International Film Festival, includes many more things: a depiction of the generalized corruption as a pay-it-forward chain in Romanian society; the gap between the powerful and the lower classes, although they share many more values than they might think; the everlasting but maladjusted bonds between an aging mother and an adult son. Cornelia lives obsessed with her son, disrupting his personal life and trying to control all aspects of his existence, including his new emotional partner, until she receives a call communicating a car accident in which Barbu is involved. The fragile balance of an apparent bourgeois normality dissipates and, in the fight for her son’s future, all dysfunctional elements of an over-controlling personality end up provoking the unavoidable confrontation with reality. Almost two hours of a film that takes you inside the characters’ world and plays with your judgment of their ambivalent selves when showing their many moral edges, peevish and praiseworthy at the same time.